With this family of basins, Bartoli Design expresses some of their peculiar design features: clarity and harmonious forms bringing about an understated elegance. 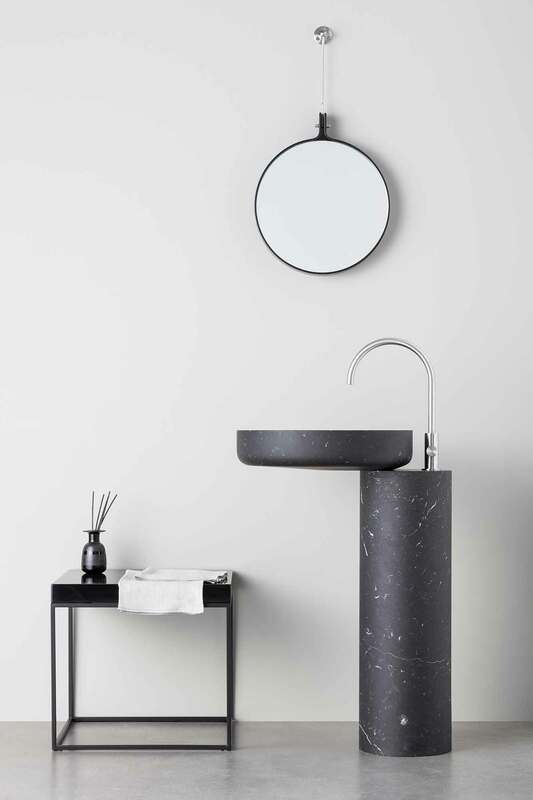 O-O implements Bartoli Design’s design research to reach both a structural and aesthetic balance: in this case, two cylinders with very different proportions are combined to result in a family of washbasins. 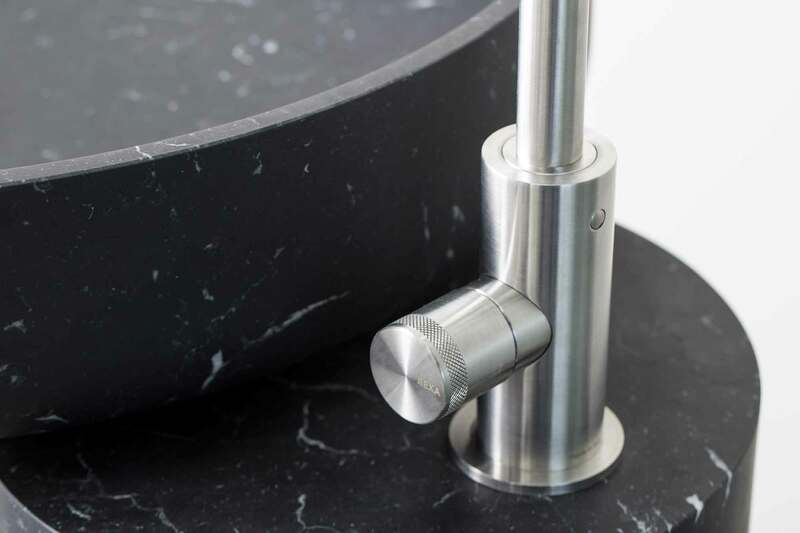 A wide basin, placed horizontally, stays on top of the column with a remarkable overhang. This leads to a studied balance of forms which, in their simplicity, take on sculptural relevance. 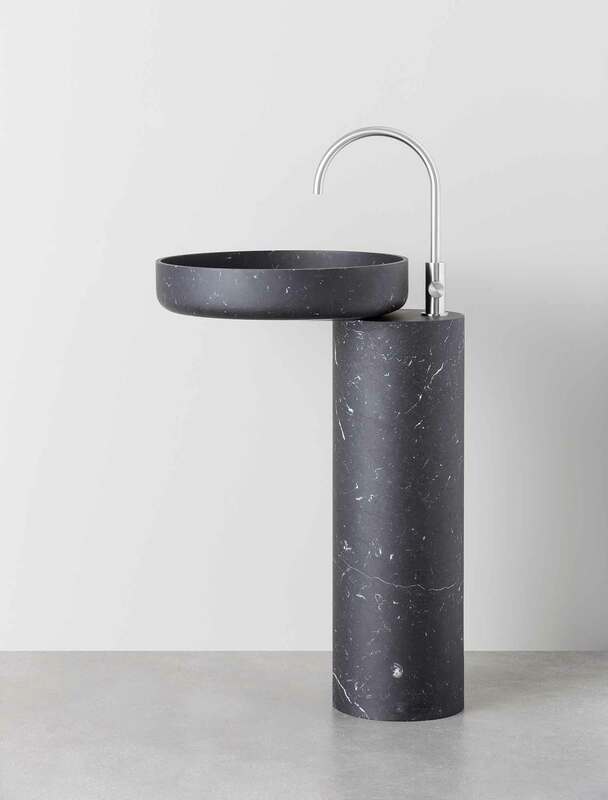 The offset of the basin creates a place for the tap, distinct form the basin – which thus stands wide and neat – or it serves as a tiny top over the column when the tap is wall- or floor-mounted. The geometric composition, studied by the millimetre, achieves an iconic appearance using simple and intelligible shapes. The strongly cantilevered basin shows a sort of suspended balance striking for its harmonious grace. 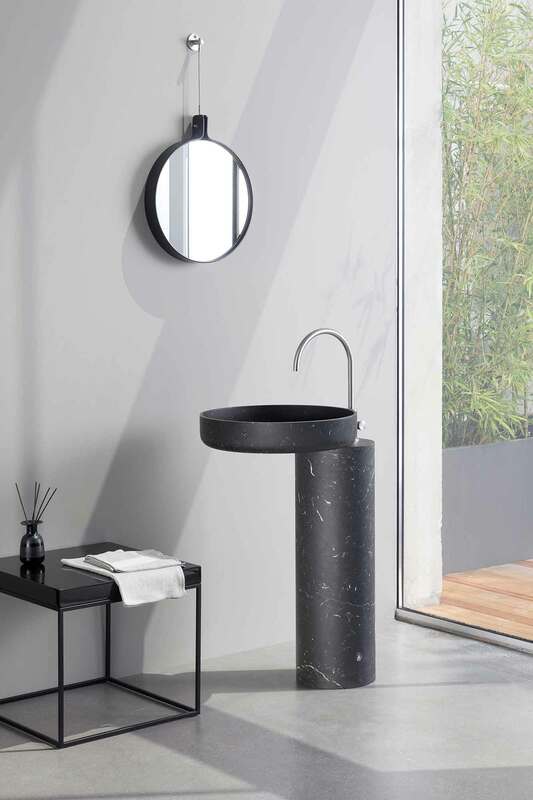 Offsetting the axis of supporting column and basin, and combining neat cylinders, with no junctions, each stating a specific function, the design interprets the freestanding washbasin category in a contemporary way. Another issue is the product cross-over nature, first in the placement options. O-O are designed to be mounted in the center of a room, or next to a wall with two options: with column and basin axial relatively to the user, or rotated parallel to the wall. 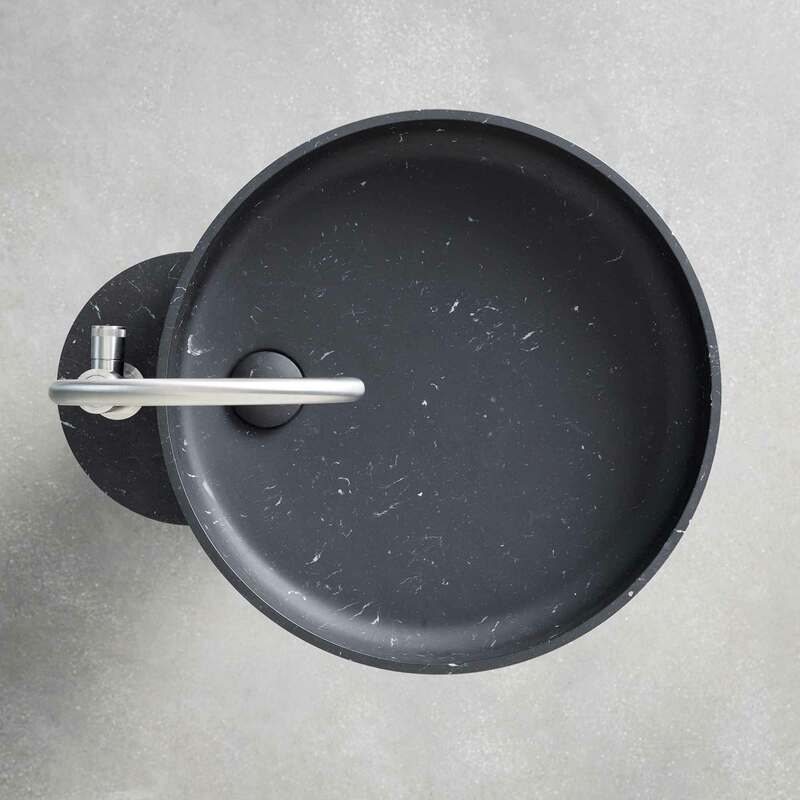 Then, for those not requiring a freestanding sink, the O-O basin may be placed alone as well, top mounted.